I was thinking of a simple fun way I could create a reinforcer activity for my PK and early elementary kiddos that would not take a long time but could be something special they could do when I saw them for therapy the week of their birthday. So I came up with this simple pattern sheet. 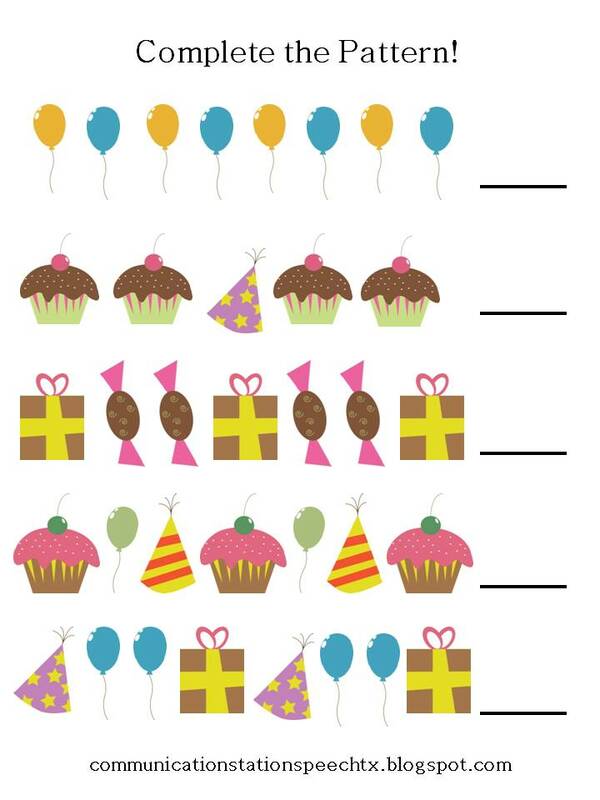 The fun thing about this sheet is that it has cute birthday graphics from Riefka Design and the patterns can be simply completed verbally or my kiddos could draw and color the next object in the pattern on the line. Of course patterns are a great early math skill so this is developmentally designed for children PK age. 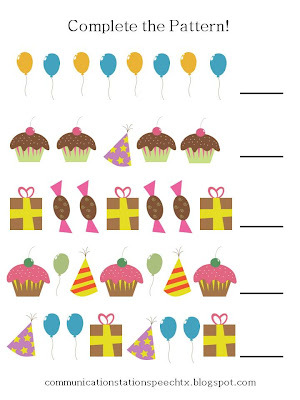 Want your copy of this simple patterns birthday page? Grab it here for FREE!